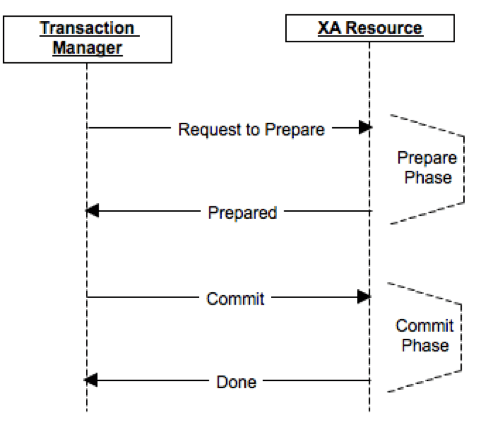 A transaction is a unit of work that you want to treat as “a whole”. It has to either happen in full, or not at all. 1. 可以研究下Java中Spring JTA Transaction Manager, 如Bitronix, Atomikos, etc.